This dream seems to take place in a futuristic sci-fi setting. I am also a woman in this dream. I am in some kind of space ship or drop ship. The crew is equipping me with a high tech body suit/armor and weapons. I look over the suit and ask how it works. I only remember one of the men saying, "No buttons. All biometrics." The man then puts a high tech space helmet over my head and it locks itself to the rest of my suit. The helmet display turns on and briefly displays numbers and diagrams that I don't understand. A man signals and says that preparations are complete. A wall next to me opens downward into a ramp and reveals the outside world. "We'll bring you above the forest for an easy entrance," said another man. The ship quickly moves across the sky and comes downward until it abruptly stops just above a forest. It hovers there for a moment and a man pushes me forward. I stumble forward and awkwardly jump/fall out of the ship. The arms and legs of my suit glow red and tighten as I brace myself for impact with the ground. There is a small clearing in the forest that my display points out to me. I hit the dirt on all fours. It only hurt slightly. I got onto my feet and tried to orient myself. I wanted to know where I had to go. My attention immediately shifted to something moving on a nearby cliff. It is humanoid in shape and all black like a shadow. The shadow moves quickly across the cliff and then fires a green plasma bolt at me. The bolt misses and hits the ground next to me. I start to run away but the shadow jumps across the trees and then onto me. I don't recall the full encounter. We fight physically and exchange blows briefly. I pull a pistol from the hip and hit the shadow in the chest with a purple plasma bolt. The creature is knocked back and falls to the ground. It no longer moves, but it continues to breathe. I notice the armor it is wearing is similar to mine. I step closer to it and it looks at me and growls. I decide to run away again before it can get back up. "What the hell was that?" I ask myself. A voice then comes through the radio in my helmet. He says, "That shadow was stalking you. Can't believe it found you so fast." I do not recall the full conversation. I keep running and he tells me to move towards the city. The dream skips and I am now in a city. It looks like a war had taken place here. There's rubble everywhere and many buildings are damaged, on fire, or even fully destroyed. There are many barricades in the streets and destroyed vehicles. There are no humans in sight; only aliens with weapons on patrol. These aliens don't look like the shadow stalker. They are not wearing a full suit of armor, just basic stuff. They are generally humanoid and have reddish-orange skin tone. They are tall with longish limbs and neck. Spherical heads that are not smooth but full of ridges and bumps. They have what looks like tentacle hair and more than 2 eyes. Not the whole picture but can't think of any better ways to describe them. I am hiding in a bush and want to get into a 10 story building across the street. I start sneaking across the street and use the barriers for cover. My suit partially blends in with the environment as I move. I get into the building through a side entrance in an alley. There are some aliens nearby and I hide inside a chest until they move on. I go up the stairs to what I think is the 4th floor. It looks like it used to be an office building before it was trashed and destroyed. My visor highlights an objective on the other side of the building. I run towards it through some collapsed walls and over holes in the floor. It appears to be an executive room with a large white trapezoid desk in the center. On the left side of the room there is another collapsed wall that opens the room to the alley. Across the alley is another building with a collapsed wall. There are two aliens armed with rifles there. The aliens weren't looking in my direction or paying attention. I sneak over behind the desk and see a computer system under it. I turn on the computer and its displays onto my helmet's visor. I hack into a server and start downloading the data. "I'm in and retrieving the data now," I whisper into the radio. I then start to wonder to myself why I have a woman's voice. I realize it is because I am dreaming. Being lucid, I start to think I about leaving and doing something else. I don't want to sit around a wait for a download. My helmet then alerts me of a fast moving target nearby. I see the shadow stalker from before running up the street and it comes into the alley. "How the hell did he find me again?" I say out loud. I take a marksman rife off my back and look down the sights. The shadow starts climbing the other building and I take shots at it. This marksman rifle fires small and precise orange plasma bolts. I miss a couple shots but manage to land one his shoulder. He jumps from the other building towards mine and I slow down time. He is still in the air and he is firing at me with a pistol. I shoot him in the chest and dodge his plasma bolts. Time goes back to normal and he falls to the floor in front of me. The other aliens now have their attention set on me. They shoot at me and I take cover behind the desk. It is surprisingly sturdy and protects me from their bolts. I pop out of cover and shoot both aliens in the head. The stalker then gets up and pulls the rifle out of my hands. I wrestle with it and knock it out with a super charged punch. Bolts then come at me from the area I initially entered the floor from. I see a swarm of aliens moving across the office floor. I pick up an assault rifle the stalker had strapped to his back and spray at them. I kill a couple but the rest take cover and fire back. I duck down behind a small wall and filing cabinet. I continue the firefight as several more aliens arrive. The helmet display tells me how much ammo I have left. The assault rifle runs out of ammo and I am forced to switch to my two pistols. Sparks are flying all around me and holes are being put in what walls remain. Even the desk was getting torn up. The alien reinforcements continue to arrive and they move up towards my position. I am running very low on ammunition. "I can't stay here anymore! I need to leave!" I start shouting. In this moment my helmet tells me that the download is complete. I dive behind the desk and pull a floppy disk out of the computer. "I got the disk!" I say into the radio. The man over the radio responds back, "Your position is overrun! Move to the next building and get out!" I slow down time again and jump over the desk. I empty one of my pistol clips into the aliens moving towards the room. I then turn and run towards the collapsed wall. I use my second pistol to shoot at a couple aliens in the other building as I jump across the gap. Time returns to normal as I land into the next building. I finish off these two aliens and run towards the stairwell. I go down the stairs and end up in what looks like a storage room. There are more stairs beyond this room that seem to lead down into a sewer or tunnel network. There is another alien on guard in this room. It reminds me of the shadow stalker but it is not fully suited, just lightly armored. I stay behind a wall and kick it to make some noise. The alien moves to investigate the noise. As it comes around the corner, I pull out a combat knife and charge at the guard. I grab hold of his shoulder and thrust the knife into his neck. This doesn't kill him but causes him to only make low gurgling noises. He grabs me and sinks his claws into my armor. He pulls me close and attempts to bite me with razor sharp teeth. We struggle for a moment and fall to the floor. I manage to pull the knife from his throat and stab him in the chest. This kills him and I take the knife and run into the sewer. The dream skips and I am climbing out of the sewer in another part of the city. I see a fight taking place in a shop nearby. I run to it and see a man and a woman kill a few aliens. The fight is over by the time I get into the shop. The man and woman are friendly and they help me restock on ammo. They also hand me a new gun that looks like a taser, but I never get a chance to use it. I ask them for help getting out of the city and they come with me. We make our way down the street and the shadow stalker appears on an overpass above us. We get ready to fight, but the dream ends here. I was on a large ship in the ocean. In the distance, coming ever closer, I could see many islands. The majority of these islands were raised hundreds of feet above sea level. They had steep rocky cliffs. They were tropical islands and very full of greenery. It's never stated by anyone in the dream, but I believe this is a region of Ethos known as the Splintered Archipelago. I have never been here before. The ship starts to pass through among the islands. Someone of higher rank mentions to me that I have over 1000 more days of servitude left. It's not necessarily slavery, but it seems I am bound by a contract to serve an organization. Based on some conversations about guilds aboard the ship, I believe that I may be in service to an explorer's guild. There may even be members of other sorts of guilds aboard the ship. The dream skips and I am now in the ship's interior. I am in a large room with a single table. I am standing next to many other people in a circle surrounding the table. Only two people are sitting at the table across from each other. This meeting appears to be political or business in nature. One of these men was the leader of an empire. They were discussing the expansion of his empire into the archipelago. The man on the left removed a folder of secret documents from his bag and slid it across the table. A deal had just been made. I remember getting a strong feeling of mistrust in this moment. I believe the man passing over the documents is trying to deceive the other man. "He's lying." I whispered. They continued discussing their plans and I wake up. I am on a ship again but this time it is an air ship flying high above the archipelago. I am at the bottom of the ship standing by an open hatch that reveals the world below. A man next to me is giving me orders. He points to a large island below and it becomes highlighted in my own vision. He tells me that I must go down there and explore the area. He wants me to chart the area and bring back any artifacts or items worthy of research. He says that good work will help take days off my time of servitude. I jump off the ship and start diving down to the islands. I see more detail as I get closer. I see that there are some villages, ancient ruins, and old forts on the islands. There are also many boats in the water. I remembered that I had seen the archipelago in a previous dream. I become lucid as I continue to fall and examine the islands. It's not a high degree of lucidity and I still carry out my original objective. I move towards the area that was highlighted in my vision. It appears to be an ancient tower. The dream skips and I am now in a cove. The water is shallow and it is full of crates and debris from a wreckage. I start to break open crates in the shallow water to see what I find. I only remember finding rope, small tools, and some coins. There was a very large crate in the water. It was twice my size. I couldn't find a way to open it, so I tried to break it open by hitting it with a board. The crate quivered when I hit it. It was as if it was made of jello. It also growled at me after I hit it. I sensed now that it wasn't a crate but something alive. I even thought that it might have been a mimic. I woke up before I could find out. Bunch of old dreams from the last time I got on a major DJ spree. I wrote a lot of these in third person. It sounds weird but I dream from the perspective of different characters often and it provides me with clarification. Lucidis and Krystal were out together in some town. They had to drive to some place that wasn’t important enough for me to remember. Lucidis entered the driver’s seat of his car and Krystal entered the passenger seat. After they put on their seatbelts, a man who was hiding in the back of the car revealed himself. He put a gun against Lucidis’s head. “You’re going to drive me to the border. Understand?” He said. “Okay, I didn’t want you in my country anyways,” said Lucidis. The drive was going smoothly until Krystal said something to make the guy point his gun at her head. When that happened, Lucidis decided to make a hard left turn that flipped the car onto its side. The man who was not wearing his seatbelt fell over. Lucidis then removed his seatbelt and proceeded to beat up the man until he was dazed. Afterwards, Lucidis put the guy in the trunk, flipped the car back onto its wheels, and then continued the drive to the border. Lucidis stopped the vehicle after he passed a sign that read, “BORDER”. Lucidis pulled the guy out of the trunk, placed him on the ground, and then drove away. Lucidis, Chris, and Claire were sitting on a couch playing a video game on a console. They were playing some kind of go-kart racing game. “Why are we playing a go-kart game when we can race in real life?” asked Lucidis. Claire’s in game character then proceeded to shoot Lucidis’s character with a shotgun. This killed his character and caused his go-kart to crash in a fiery explosion. “Because Claire would kill us all,” Chris said. “Alright then,” said Lucidis. The rest of the dream consisted of the three of them racing and shooting at each other. Don’t really remember the details of it. Lucidis was deep inside a volcanic chasm. The chasm was close to erupting. Magma was starting to rise and rocks were falling all over the place. It was very hot and very loud. There were nests with dragon eggs in them along the sides of the chasm. Lucidis was flying around the chasm in his dragon form. In a panic, he was trying to gather and save as many dragon eggs as possible. Lucidis, Chris, Claire, and Krystal were in Scillia City, the capital of the country of Ariala. The queen of Ariala had apparently sent letters to them before. She wanted to meet them, though the letters didn’t say why. Rather than going straight to the queen’s palace, they chose to take some time to tour the city. Nothing eventful really happened in this dream. It was just exploring and site seeing. It was a lively city. Many people wandering through the streets socializing and doing business with each other. The people of this city really liked plants. There were many different kinds of flowering plants decorating the city. It was as if half the city was a garden. Places of interest: There was a statue of a woman who was probably the founder of the city and country in the town center. The city had a massive library with many books. Krystal was quickly lost in there. There was a park which was nice, big, and naturey. There were also about 50 different flower shops. A continuation of the previous dream with a time skip. The queen had said that an army of Grayle was planning to invade Ariala near the site of Easthorpe. Easthorpe was a small town on the eastern border of Ariala. The country on the other side of the border would be Grayle. She asked the group nicely to go to Easthorpe and protect it. She also mentioned that it was important to protect something called the Eternal Garden, but that never became an issue. The Ariala Army had already moved out of Easthorpe and into the badlands where they would encounter the enemy. When the group arrived at Easthorpe, some guy on a horse stopped by them. He gave them a written message from the army commander and then rode off somewhere. The message instructed Chris and Claire to go on ahead to meet with the army. Lucidis and Krystal were instructed to find a hermit shack outside of Easthorpe. A guy named Renald lived there and they were supposed to ask him about keys. So Lucidis and Krystal set out to find the Renald guy while Chris and Claire set out to join the army. Lucidis and Krystal found the Renald guy in his hermit shack and asked him about keys. He then proceeded to ramble some weird stuff about ancient civilizations, long lost relic keys, and magical super weapons. That basically meant that near Easthorpe there was an ancient magic device that could be used to defend Easthorpe. However, know one knew where the relics were, so it couldn’t be activated. The guy on the horse came back and delivered another message from the commander. The message said that the Ariala Army was forced to retreat back to Easthorpe. The message also strongly encouraged Lucidis and Krystal to hurry up with the key thing. There was no time to go looking for relics, so Renald offered an alternative. Renald was able to create a temporary key by transferring nearly all of Lucidis’s magical power into a small orb. He told them that the key would guide them to the ancient device and that the key would only work for a short time. So Krystal took the orb and ran in the direction the orb told her to. Lucidis followed. The orb guided them into the badlands, where the sounds of war elephants could be heard in the distance. The enemy was approaching Easthorpe quickly. Krystal and Lucidis took a shortcut by sliding down some cliffs. Lucidis lost his balance and fell. He landed on a stone platform with the writings of an ancient language engraved into it. This was the magical device they were looking for. Krystal was going to activate it with the orb key, but my alarm woke me up. River was a student involved in some schooling program thing related to emergency medicine. River was walking down a hospital hall and heard a patient from a nearby room yelling for a doctor. Students weren't allowed to interact with patients without being supervised by a doctor. There was no one else anywhere nearby however, so River decided to check on the guy. River entered the patient's room and found him sitting up in bed. He looked pretty sickly and was wheezing. Using a phone mounted on a wall, River attempted to call a doctor to the room. As she was doing this, the patient starting coughing badly and there was some blood coming out. The skin on the left side of his chest kind of just popped out. It was as if it had been rotting or something. Among other things, his heart fell out of his chest, though it was still connected. The man's coughing also turned to choking. River panicked and dropped the phone. She forced the guy to lay back down on the bed. She put his heart and other gubbins inside his chest. She then put the flap of skin that came off back in place. She found a stapler on a desk in the room and quickly used that to staple the skin together so it wouldn't come off again. After all of that was done, the guy passed out and was breathing again. River was then kicked out of school because a stapler apparently isnt proper surgical equipment. This dream was from the perspective of Meadow. Meadow was in the shower doing shower stuff. As he was showering, he could sense what felt like a dream. He also realized that he didn’t even remember going into the shower. This was reason enough to convince him that he was dreaming. Meadow left the shower and put some clothes on. He entered a room where his father, Steve, was going a bit nuts. Books that would have otherwise been resting on shelves were now scattered all over the floor. Steve was searching frantically through the shelves for something. When Meadow questioned Steve about his behavior, Steve said, “I had a very important book on Umbras that I wanted to show you, but it suddenly disappeared!” “What’s an Umbra?” Meadow asked. “You know how your mother would be called a human? Well, I’m called an Umbra, and you’re half a human and half an Umbra,” said Steve. Steve then proceeded to go back to tearing the room apart and flipping furniture. Meadow decided to leave his father be and go for a walk outside. He went out the backdoor, which he noticed had been left open. A distance away, he saw what looked like Sol and Rosalina sneaking away with a book about Umbras. Knowing how important the book was to his father, Meadow was determined to get it back. Meadow relaxed himself and took a deep breath. He concentrated and visualized himself becoming engulfed in shadows. It was a slow process, but he managed to shift from his human form to his Umbra form. He started running after them and began floating just above the ground after reaching a high speed. He yelled at them to stop, but that only made them want to run away faster. They ran past some buildings and then into an alleyway. There was a large chain link fence blocking the middle of the alley. Rosalina and Sol climbed up and over the fence and ran around the corner. Meadow saw no need for climbing and simply phased through the fence. He flew around the corner and entered a weird sandy enclosure. Sol and Rosalina were now missing, but there were these two other people there, a man and a woman. They were very ugly and looked kind of deformed. The one guy even had 4 arms. The four armed dude summoned some knives in his hands and started throwing them at Meadow. Using psychic powers, meadow stopped the knives and held them in front of him. He then turned the knives around and propelled them back towards his enemy. The man jumped up out of the way and stuck onto a nearby wall. It was at this moment that Meadow noticed he lost track of where the woman was. Immediately after realizing she was behind him, he felt a sharp pain in his back. I woke up, but I really wanted to get back in that dream. So I rolled over and did a DEILD. This dream was also from the perspective of Meadow. Meadow’s eyes were closed, but he could still feel the dream around him. He also started to hear the voices of people talking. He opened his eyes and realized he was laying on a stone floor. Rosalina and Sol were there and they helped him get on his feet. The three of them were trapped in a small dungeon-like prison room. Meadow asked them why they stole the Umbra book and why they were in a dungeon. Sol and Rosalina then explained to him that it was those two ugly people that stole the book. They had used potions to transform themselves into Sol and Rosalina. They were apparently part of a group that was obsessed with learning the secrets of transformations and shape shifting. Meadow and Rosalina were captured to be experimented on because they’re capable of shape shifting. Sol was probably there by accident. There was a small vent at the bottom of the wall blocked by metal bars. Meadow figured he could probably slip through those bars if he could transform into an Umbra. He tried to transform, but for some reason he couldn’t. Rosalina said she couldn’t transform either. Meadow looked through the vent and developed another plan. He could see keys laying on the edge of a table outside the room. He used his psychic powers to pull the keys off the table and through the vent. Keys are noisy. Everyone who was working outside the room heard and saw it happen. So once Meadow had the keys, a man yelled, “Release the snakes! Paralyze them!” Another man then pulled a lever and dozens of red, black, yellow pattern snakes dropped from the ceiling. Meadow and Rosalina were terrified and both backed up into a corner. Sol just stood in the middle of them and stared. He said, “Red on yellow, kill a fellow. Red on black, won’t hurt jack.” The color pattern of the snakes was red on black, which meant they were nonvenomous. Meadow and Rosalina then relaxed when they figured it out. Meadow found the Umbra book sitting on a table and held on to it. From that point on it was pretty chaotic. The alchemists were running around frantically as Sol, Rosalina, and Meadow were destroying and fighting their way through the cave. Meadow was especially having fun with his psychic powers. He would levitate people and various objects above his head and hurl them all around the room. By the time they were done, it looked like a tornado had wrecked the place. The three of them ran out of the cave and escaped. Meadow intended to walk back home and bring the Umbra book back to his father. Meadow tried reading the book as he walked home. It was written in weird letterings that he didn’t understand. The more he tried to focus on it the more complicated it became. The dream destabilized and he woke up. A continuation of Dream Five from April 14, 2014. This dream was from Claire’s perspective. Lucidis, Chris, and Claire were all back in Easthorpe, which had now become pretty fortified. They were preparing to defend it from the approaching army. Krystal had apparently stayed at the ancient super magic device thing to figure out how it works. “I don’t really have enough magic left to fight, so I’ll just do this,” said Lucidis. He raised his hands up in the air and used the last of his magic to summon Nea, his dragon. Nea roared and flew down from the sky and landed next to Lucidis. Lucidis passed out from magic exhaustion, which is apparently now a thing. Claire mounted Nea and commanded her to fly. They flew up into the sky and over top the approaching army. Claire looked down and noticed that there was already chaos among the enemy. Krystal had apparently figured out how the device works and used its magic on herself. She was glowing brightly and radiating with magic. She could easily take down a soldier in a single hit and blades shattered when they struck her. She was practically invincible. Claire was aware that the invincibility would only last for a short time. Claire rode the dragon down to the battlefield and had her attack as many soldiers as possible with her ice attacks. They had to defeat as many soldiers as possible before Krystal’s power wore off. The battle went on for some time before she woke up, but there aren’t many details about it. Short fragment from Lucia’s perspective. Of all the things that can make me lucid, this fragment did not. Lucia was at a zoo helping out the zookeepers. She was giving bathes to a family of pandas. This dream was from Lucidis’s perspective. It was a continuation of Dream Three from April 19, 2014. It was a long dream. Lucidis was laying in bed. He had apparently just “awakened”. The room was bright with sunlight from a nearby window. It was irritating his eyes. “Gah, it’s morning already? I just went to sleep,” Lucidis thought to himself. Lucidis got out of bed and realized that he was in a hospital room. He looked out the window and saw what looked like Scillia City. Lucidis did a reality check and became lucid. Lucidis left his room and started walking down the hall. He walked past a room, but then stopped. He sensed that Krystal was in there and poked his head into the room to look. He saw Krystal laying in bed reading a book. He noticed that she had some injuries. “Are you okay? What happened to you?” Lucidis asked. “I just fought an entire army and won! I feel great!” she said. “Yeah, I seem to have missed out on that.” Lucidis said. “I’ll probably be stuck here for a few days. Can you get me some books?” she asked. “Alright, I will get some books and come back later,” Lucidis said. Lucidis left the hospital and walked to the local library. When Lucidis got to the library, he remembered that the library is ridiculously big. He also realized he had no idea what kinds of books Krystal would want. So his solution was to just run to random parts of the library and pick random books from random shelves until he had enough of them. After gathering about five books, Lucidis left the library and began walking back to the hospital. There were like three different flower shops between the library and hospital. Lucidis decided to go into one of them and buy some flowers for Krystal. He bought some of these bright orange flowers that were called Medellae or something like that. He then walked back to Krystal’s room at the hospital. She had fallen asleep, so Lucidis just set the books and flowers on a table next to the bed. Lucidis left the room and went back out into the hall. Claire was standing against a wall there waiting for him. “Let’s go train,” she said. “Let’s not,” Lucidis said. “It doesn’t look like you have anything better to do,” she said. Lucidis wanted to think of something better to do, but his brain just stopped working and he couldn’t come up with an answer. So he had nothing better to do than go to the park and exercise. And then he woke up completely covered in sweat and it was not great. This dream was from Meadow’s perspective. It was a continuation of Dream Two from April 19, 2014. It was a medium dream. Meadow was sitting at a desk in his room reading that book about Umbras. The writing in it was more coherent this time and it was possible to read. There were chapters about things like the creation of Umbras, Umbra characteristics, Umbra history, and Umbra culture. Meadow skipped all that stuff and went straight to the chapter on Umbra powers and abilities. Meadow was more interested in learning about how to control his power. The chapter mentioned some weird stuff like, “If an Umbra were a Pokemon, it would be a dark/ghost/psychic type” and “Umbras have high special attack but low HP.” It did have some more reasonable and useful information though. Umbras can enter a more gaseous or cloud form in order to slip through small gaps that they wouldn’t be able to move through in their regular form. They have the ability to levitate, which makes them immune to ground type moves, but they usually can’t fly far from the ground. Umbras have various psychokinetic abilities that allow them to manipulate objects with pure will. If they close their eyes, they can detect nearby auras. They have some weird meditative technique that allows them to see places away from their body. They also have the ability to connect to another person’s mind and communicate telepathically. There was still more to read on the subject, but someone tapped Meadow on the shoulder and it startled him enough to make him fall out of his chair. It was Rosalina. Meadow looked up at her from the floor and an idea popped into his head. “Maybe I can use telepathy on her to read her mind,” he thought. “Umm, hi?” Rosalina said after the period of silence. Meadow didn’t respond. He just stared into her eyes intently, trying to connect to her mind. This all really freaked Rosalina out for some reason. She yelled, “Get out!” and then kicked Meadow in the groin. Meadow then woke up. This dream was from Lucia’s perspective. It was a short dream. Lucia was sitting in a school classroom with Luna during free period. Don’t remember the details, but the conversation was related to how Pokemon are weird. Lucia heard the school bell ring and knew it was time to head to class. Lucia walked out of the classroom into the hall. There were these weird obstacle courses in the halls like monkey bars, low walls, and nets. Lucia then remembered that in a dream from a while back, the school implemented this obstacles course to cut out gym class. Their logic was, “Now students can do gym class between classes instead! That will save them plenty of time for studying!” That doesn’t really make anything better, it just makes it harder to get to class. Lucia became lucid upon seeing the obstacles course and remembering the old dream. Lucia didn’t know which class she was supposed to go to. She remembered that she was supposed to multiply something for the LC. So she decided to go to math class to complete that task. She navigated the big dumb obstacle course, entered the math room, and took a seat at the front row desk. The teacher in the room was just throwing out random math questions to students and expecting them to answer. The questions ranged from very simple to impossible to answer. “What is the square root of a right triangle to the power of 5?” he asked. “Pi!” someone immediately shouted. The teacher then threw a stick of chalk at his head and said, “Raise your hand before answering a question!” “What is 86 + 10?” he asked. Lucia raised her hand and said, “92.” “Close enough,” the teacher said. “If I have 54 gold pieces and loan 30 of them to my friend, how many silver pieces will I have if payed back with 2% interest?” Can’t remember the answer to that one, but it was apparently right or close enough. “If today is April 20, what will it be 7 days from now?” Lucia jumped up when she remembered that was an LC task. “April 27!” she yelled. “Raise your hand first!” he yelled. Lucia raised both of her hands and yelled, “April 27!” “Sit down!” he ordered. This dream was from Meadow’s perspective. It was a continuation of Dream Two from April 19, 2014. It was a short dream. Meadow, Rosalina, Sol, Nhal, and River were all together walking through the Aranian town of Oakgrin. It was apparently Oakgrin’s 100th anniversary, so they were holding a full on festival. It was a pretty big deal to them. River was using this as an opportunity to introduce Nhal to Aranian culture. While River was making Nhal eat foods like Ari Cakes, to which he said tasted like diabetes, the other three wandered off to do their own things. After much persuasion from Meadow, Sol eventually did attempt to eat the muffin in one bite. In response to the sourness of it, Sol’s face instantly puckered and tears formed in his eyes. His face remained stuck like that for the rest of the dream. Was pretty impressive. This dream was from Meadow’s perspective. All I remember is this short fragment, though I’m pretty sure plenty other things happened beforehand. For whatever reason, Meadow was being chased by some cloaked woman with a halberd. Meadow was in his Umbra form and he was flying through the remains of a previously burnt down forest. As he was flying through the burnt, he was picking up dead trees with psychokinesis and hurling them back at the woman. She had no effect on her because she would just chop up the trees with her halberd. The woman chased Meadow up the side of a nearby volcano. Meadow then tried to use his psychokinesis to drop large boulders on her. Even the boulders were somehow able to be cut apart by her halberd. Upon reaching the top of the mountain, Meadow tried to launch the woman off the mountain by unleashing a wave of psychokinetic energy. She even managed to cut the energy itself apart with her halberd. At this point, Meadow was all out of ideas and had no where else to run. Luckily Rosalina just so happened to be looking for Meadow. She flew towards the mountain with her dragon wings. She quickly grabbed Meadow and flew off. This dream was from the perspective of some random unimportant person. We’ll just call him John. This was a medium dream. The dream was set in a proper Walking Dead style apocalypse. John had his own small camp set up in the woods. He was inside his tent sorting through his equipment and supplies. He then heard shouting and gunfire somewhere close by. It was close enough that it was of a concern to him. He grabbed his pistol, kukri, and a small backpack and ran to where the noises came from. John came out of the forest onto an open hill. He looked around at the environment. At the bottom of the hill was a field with a road running through it that led to a city on the left. In the distance there were mountains and more forests. John did a reality check and he became lucid. John saw a small group of people standing at the bottom of the hill near the road. They were surrounded by dead zombie bodies, so they apparently solved the problem on their own. John was about to walk away and go back to his camp and leave the people be. They noticed John and called out to him. John couldn’t avoid them now, so he decided to meet them. They seemed like decent enough people. They wanted to know if John had a camp and if they could stay there. For some reason John said no. However, he did say that he would help the group establish their own camp somewhere else. John pulled some electronic tablet thingy out of his backpack. He turned it on and it showed a satellite map of the local area. On the map, John found a site in the middle of the city where there was a mansion with plenty of land around it. The area appeared to be surrounded by brick walls. John decided they would try to set up a camp there and fortify it. John and the group walked to the city together. Before going in there, the group insisted that they sneak past the zombies by pretending to be zombies. John didn’t like the idea, but had agreed to it anyways. The group moved slowly through the city, stumbling around and moaning like a zombie would. It worked to some extent, but one zombie became suspicious. It walked in front of John and stared at him. The zombie then smelled John and realized he wasn’t a zombie. The zombie lunged towards John, but John quickly chopped into the zombie’s head with his kukri. At this point, all of the zombies realized that the group was human and became aggressive. John held his pistol in one hand and his kukri in the other. He fought off a number of zombies before one came from the side and pushed him to the ground. John was now trying to push away a zombie on top of him that wanted to rip out his throat with its teeth. Back in the same dream as before, John still had a zombie on top of him. John was losing the strength to push the zombie back. A man from the other survivor group then came by and hit the zombie in the head with a crowbar. He helped John onto his feet. The man then shattered a large glass window of a nearby store. He yelled for everyone to follow him and they all jumped through. They then ran into a back room and barricaded the door. John told them that their zombie pretending plan was dumb and that they were going to try his plan now. John’s plan was to stick to the alleyways, move quickly, and kill any zombies that get in the way. John opened a door on the other side of the room that opened into an alley. They moved their way through the alleyways until they were across the street from the mansion they planned to set up camp at. There were too many zombies in the street between the group and the mansion to fight through. John had an idea to solve that. He told the group to stay put and moved down to the end of the street. There was a car parked there. He smashed the window of the vehicle open with a brick. This set off the alarm. John reached into the car and shifted the gears to neutral. He then pushed the car enough so that it would start rolling down the street. John ran back to the group and they waited for the zombies in the street to follow the sound of the car. The zombies soon cleared out and the group moved across the street, fighting off a few stragglers. Everyone threw their bags and equipment over the brick wall that surrounded the mansion. John helped everyone climb over the wall and then climbed over it himself. The group then ran up to the mansion and tried to open the door. The door was locked, so the man with the crowbar pried it open. When they entered the house, they could hear a girl screaming and a bunch of crashing sounds from upstairs. A young girl was backing away from a zombie past the top of the stairs. The zombie grabbed onto the girl and forced her to the ground. John ran up the stairs and grabbed onto the zombie before it could hurt the girl. He pulled the zombie back and accidentally fell down the stairs with it. I then woke up and couldn’t get back into the dream. This dream was from Rosalina’s perspective. It was a medium dream. Rosalina, Sol, and Meadow were enjoying a day at the beach together. It was a very popular beach and there were many people there. It was getting crowded there and some of the people were just getting really loud and obnoxious. The three of them moved over to a part of the beach where there were no other people. Rosalina was sitting on the beach and watching the clouds while Sol and Meadow were off doing something in the ocean. Then all of a sudden Sol popped up in front of Rosalina. He showed her this weird hermit crab-like creature. He said that it could breathe in water from its mouth and exhale oxygen from the end of its cone shaped shell. Rosalina remembered seeing a creature very similar to this in a long ago dream. She did a reality check and became lucid. Now that Rosalina was lucid, she had the urge to explore. She went into the water and found another one of those crab things. She put the end of the shell into her mouth so that she could breathe underwater. She then swam underwater and was having fun looking at the various plants, shells, and fish of the ocean. She noticed what looked like an underwater cave nearby, which she became curious about. She motioned to Meadow (who was currently busy punching a shark) and Sol to follow her. They swam through the underwater tunnel and it led to a secret cave above the water. Rosalina climbed out of the water and into the cave. She released the crab back into the water and began walking through the cave. Rosalina could hear people from the other side of the cave talking. She spied on them while hiding behind a nearby rock. They appeared to be a group of hobgoblins. They had a camp set up inside the cave and they talked of plans to destroy a nearby harbor with explosive devices. She then heard one of the hobgoblins say, “Hey, what’s that light doing over there?” Rosalina turned around and saw Sol and Meadow were behind her and that Sol’s hair was glowing brightly. The three of them ran back into another part of the cave and hid there. The hobgoblins were now curious and searching for the source of the light throughout the cave system. “Why is your hair glowing?” Rosalina whispered to Sol. “Oh, it always does that in dark places. Pretty cool, huh?” he said. “Just shut up and turn it off,” Rosalina said. “Uhh, I don’t know how,” Sol said. Rosalina then had a new idea. She grabbed Sol’s shirt and pulled it up over his head. The light still shined through it and it didn’t matter either way. By this point the hobgoblins had already figured out their location (partially due to Meadow’s shouting) and were heading their now. Rosalina had one final last resort idea to keep the hobgoblins away. She told Sol and Meadow to plug their ears. She faced the area that the hobgoblins would be coming from and unleashed a draconic roar. The roar was especially loud due to them being in a cave, and it caused many boulders to fall from the cave ceiling and block the hobgoblins path. Possibly due to being exposed to the loudness of the roar, Rosalina became very disoriented. The dream destabilized and I woke up. This dream was from the perspective of Lucidis. It was a medium dream. Lucidis was walking around outside at night, not too far outside Scillia city. He looked up at the night sky and gazed at all of the amazing celestial bodies. There were many bright and colorful stars along with great moons, planets, nebulae, and comets. Lucidis became lucid at the sight of this. It would be impossible not to. Lucidis transformed into a dragon and flew up into the sky. He wanted to see how high he could get or see if he could even reach space. He managed to get to about as high as the clouds before he heard the sound of a dragon’s roar somewhere nearby. As much as Lucidis wanted to go to space, he felt obligated to stop and investigate the roar. He followed the sound of the roaring to a nearby mountain where a dragon was circling around it. When Lucidis came close to the mountain, the dragon landed on top of it and waited for him. The dragon didn’t look like it wanted to fight, so Lucidis landed in front of the dragon and calmly approached it. They greeted each other and exchanged names, to which the dragon said was Sidrid. By roaring, he had called upon Lucidis to come to his aid. Sidrid said that he was an astral/aura dragon or something like that. He had the power to sense things. Sidrid told a story of a dragon friend of his that died a long time ago who was very important to him. Some time after her death, humans found the skeleton of her body. They then put the dragon skeleton on display in the Scillia City Museum. Sidrid said that this disturbed him, but he chose to tolerate it because it wasn’t done with malicious intentions or causing harm to anyone. However, he could sense that something malicious was going to be done to her soon. He said that a necromancer intended to resurrect her as his undead minion. Sidrid feared what destruction the necromancer could cause with the skeleton dragon. He requested that Lucidis stop the necromancer and destroy the skeleton if he had to. Lucidis agreed to do this task because he didn’t want Scillia City to get wrecked, but he also requested a favor. With the knowledge that Sidrid was an astral dragon, Lucidis wanted to know if Sidrid could take him to the astral plane and tell him his fortune. Sidrid agreed to this, but said that Lucidis already knew how to get to the astral plane. Lucidis was then hit with a flood of memories of all the times he used his elaborate portal teleportation technique. Apparently the “void”, as he called it before, was the astral plane. Lucidis then decided that he was ready to go deal with the necromancer. He did not know where exactly the museum was however. He asked Sidrid where it was. An ethereal path extended from Sidrid and flowed down all the way into Scillia. Lucidis thanked Sidrid and immediately began flying along the path. The ethereal path led into the roof of the museum and created a small hole there. Lucidis dropped down through the hole and it closed back up as he landed inside the museum. Lucidis walked into another part of the museum where he expected the dragon skeleton to be on display. In this room there were various exhibits for skeletons and fossils. There was a large empty exhibit in the middle of the room. There was a plaque next to this empty space that had many words pertaining to dragons. Lucidis realized that this was the space where the dragon skeleton should be, but it wasn’t there. Lucidis heard a crashing sound behind him. He turned around and saw a very large dragon skeleton staring at him right in the face. There was an old man with a Gandalf beard riding on top. Lucidis assumed that this was the necromancer and dragon skeleton he was looking for. The necromancer seemed to think that Lucidis was a very interesting looking dragon. He talked to his undead minion about how great it would be kill Lucidis and add him to the collection. The skeleton swiped at Lucidis with its claws. Lucidis dodged and flew up in the air. Lucidis flew directly at the necromancer to attack. The necromancer quickly jumped off the skeleton as its tail came around and struck Lucidis. Lucidis was knocked across the room and he crashed into a skeleton of some other creature. Lucidis picked up a bone of this creature that was rather sword like. He used this bone sword to parry and defend against the dragon’s further attacks. The skeleton dragon stopped relying on physical attacks and started to use some kind of necro magic. It began breathing out this black death smoke and tried to fill the room with it. Lucidis avoided inhaling any of it and through the nearest door he could find. He closed the door and locked it. The room Lucidis had ran into was a small bathroom with just a toilet and a small window to the side. The skeleton dragon thrusted its claws through the door and nearly pierced Lucidis. They really wanted to get in and Lucidis really wanted to get out. As the skeleton dragon was trying to break through the door and walls, Lucidis was trying to break through the window and escape. Lucidis had to bash the window open by ramming his head and horns into it. He then climbed out the window and flew up into the sky above the museum. When the skeleton dragon found out that Lucidis had escaped, it simply crashed through the roof of the museum and flew up to meet him. Lucidis didn’t want anything else in the city to get destroyed by the battle. He flew off as fast as he could back towards the mountain outside the city and incited the dragon to follow. Lucidis then came face to face again with the skeleton dragon and the necromancer riding it. Suddenly Sidrid swooped down from the sky and tackled the skeleton. The necromancer fell off and landed in the forest below. Sidrid said that he would fight with “Magnia” and told Lucidis to go after the necromancer. Lucidis followed through with the plan and dove down to the forest below. The old guy was surprisingly unaffected by the fall he just had. He wielded a scepter and pointed it at Lucidis. He cast that necro smoke spell at Lucidis, but Lucidis blew it away with a strong gust from his wings. Lucidis then charged at the necromancer head first. The necromancer blocked Lucidis’s headbutt with his scepter. As this happened, Lucidis swung his tail around behind the necromancer and knocked him off his feet. Lucidis then held the man to the ground and used some special dragon eye technique. This technique subdued the necromancer and caused him to pass out. Now that the necromancer had been defeated, Lucidis planned to tie him up and bring him to the local authorities. Lucidis didn’t have any rope, so he searched the forest for some vine plants that were strong enough to tie him with. Lucidis did manage to find some vines. I woke up before anything could be done with them. This dream was from the perspective of Lucidis. It is a continuation of Dream One from April 23, 2014. This was a long dream. Claire was apparently at the palace discussing a bunch of important stuff with the queen. Meanwhile, Lucidis, Chris, and Krystal were out taking a walk through Scillia Park. They were celebrating Krystal’s first day out of the hospital. Krystal was so happy to finally be outside and able to walk around again. The park was much like a garden and there were many strange and wonderful plants there. Lucidis payed much attention to the plants, which were strange and fascinating to them. They were strange enough that Lucidis felt the need to do a reality check. He did so and became lucid. Lucidis then remembered the dream he had the day before. He remembered that he could go to the astral plane and have Sidrid tell him his fortune. Lucidis told Chris and Krystal the basic story about what happened yesterday. He asked them to help him journey through the astral plane and find Sidrid. They didn’t really have much of anything better to do, so they agreed to go with him. Lucidis stood in an open area of the park and prepared to create an astral portal. It had been a long time since he created one. He formed an aura of sparkly astral energy around his hand and then made a straight swiping motion in front of him. Nothing happened. He repeated this several times and still nothing happened. “Maybe you need a void key,” Chris said. “No I don’t need a ‘void key’. I just need to remember how I did this before,” Lucidis said. “Try to focus more on cutting the fabric of space and use a crescent shape,” Krystal said. Lucidis decided to follow Krystal’s advice. He cut with a crescent shape and a portal opened. Lucidis jumped into the portal. Chris and Krystal soon followed. All that Lucidis could see from there was darkness. There was nothing there, which is why Lucidis always referred to it as the void. Lucidis expressed disappointment in it just being emptiness again. He was about to suggest turning back, but then Krystal did something really weird. Krystal was down on the floor (yes, the void has a floor) and she poked her head and arms down through it. It looked like the front half of her body had just disappeared. Chris then did the same thing as Krystal. Lucidis reluctantly followed their example. He got on the floor and stuck his head down through it. On the other side of the solid surface that he had been resting on, there was a liquid surface that his head was reaching through. They appeared to be at the edge of some kind of ocean, but a solid beach was within reach. They each grabbed onto the beach with their hands and pulled themselves up (down?) through. “I don’t know what just happened, but it made me feel sick,” Chris said. Lucidis looked around. They were on a small island with a small dock. At the dock was a lone Umbra next to a single boat. “Hey, is that Steve over there?” Lucidis asked. Lucidis then ran over to the umbra and said, “Hey Steve, what are you doing here?” The Umbra then gave Lucidis a funny look and said, “Listen, I don’t know who you are or why you’re here, but I suggest you keep that name to yourself. That guy isn’t exactly respectable here.” “Alright then,” Lucidis said confused, “What do you know about a dragon named Sidrid?” “I know he said that if anyone asked for him, I should guide them to Magnia,” he said. “Okay, do that then,” Lucidis said. The four of them entered the small boat and the Umbra guide began to row them across the astral sea. “The last time I was in a boat like this, it was just me, Chris, and a weasel,” Lucidis said. “Why was there a weasel?” Krystal asked. “He said that it was new Aranian law. All boats had to have a weasel to ward off dragons,” Lucidis said. “And did we ever see a dragon? No we did not,” Chris said in an attempt to validate his weasel. “Your weasel didn’t do anything. I’m a dragon and I was there the whole time,” Lucidis said. “You don’t count. You look like a human,” he said. By the time their conversation was over, the boat had reached a harbor of the mainland. “Welcome to Ascernia. Now get out,” the Umbra said. Lucidis, Chris, and Krystal climbed onto the docks and the Umbra left with the boat. You would think that a harbor of this size would be full of activity, but there was no one in site. They walked over to the mainland where there were multiple paths going in different directions. There was a wooden signpost there at the intersection. It said that forward from where they were was Ceran City. The path to the right led to the Apex Mountain Range. The sign for the path on the left read, “Haylea Prairie”. Under that was another phrase written in pink crayon that read, “Maggie’s House”. Lucidis figured that “Maggie’s House” referred to Magnia, so they chose the left path. The path led them to a prairie where a single small house existed all by itself. The house appeared to be built from cobblestone and had a wooden roof. It seemed kind of weird, but it also looked quite nice. Lucidis ran up the house and knocked on the door. The door popped open and Lucidis looked down to see a little girl had opened it. “Uh, hello. Do you know where Magnia is?” Lucidis asked her. “Yes, I am Magnia and I’ve been sitting here waiting for you to show up all day,” she said annoyed. “Whoa, what? I thought you were a dragon,” Lucidis said surprised. “I am and I an’t. This is my spirit form. Don’t try to think about it much or you’ll hurt your brain,” she said. Magnia invited them inside her little house and they gathered around a fire pit in her living room. She had the three of them sit down and each collect a small bone from basket. She instructed them to throw their bones into the fire to have their future told. Chris went first. He threw his bone into the fire and the bone formed a deep jagged crack. Magnia examined the bone and said, “Ouch. Looks like you’re going to die a horrible painful death. Well at least you’ll be happy when it happens. Next,” she said casually. “Wait, wait, wait. What the hell does that mean? I’m going to die horribly but be happy?” Chris asked. “Yup. Scary, huh?” she said. Krystal threw her bone into the fire next. The bone cracked and formed a clean split down the middle. Magnia examined the bone and said, “Oh, it looks like you’re going to have another kid. Congratulations,” she said. Lucidis quickly interjected and said, “No, I already have two kids. That’s more than enough for me. I’m done with that.” “No one said they were going to be your kids,” Magnia said. Lucidis paused for a moment and said, “Okay, new topic,” and threw his bone into the fire. Lucidis’s bone didn’t crack. Instead it became a very dark black shade. Magnia examined the bone and said, “Oh wow, you’ll be going into the Dark Median. Good luck with that.” “What’s the Dark Median?” Lucidis asked. 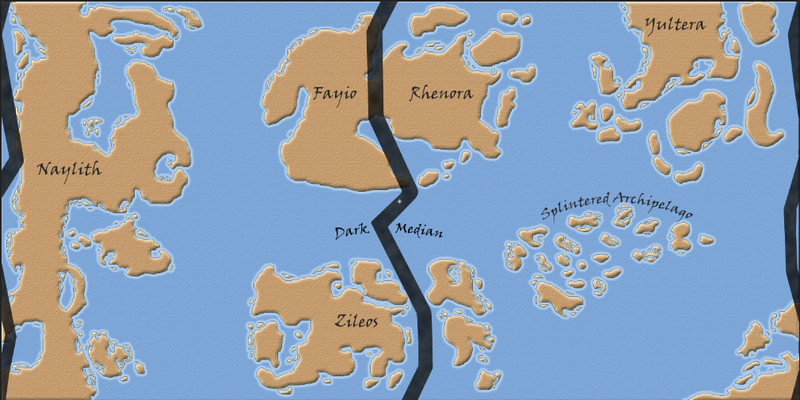 “It’s the dark impassible region between Rhenora and Fayio. How have you not heard of this?” Krystal said. “I have heard of it, but it was from that guy,” Lucidis said pointing at Chris, “And I couldn’t understand a damn word of his incoherent rambling.” “I may have been a bit flustered that day,” Chris said quietly. Now that story time was over and everyone had been disturbed enough for one day, Magnia wanted to have a tea party. Lucidis wasn’t exactly a fan of tea parties or tea itself, but he decided to humor her. The all sat down at a small table and drank from tiny tea cups. Soon there was a knocking at the door. Lucidis immediately took this opportunity to excuse himself from the tea party and answered the door. The Umbras somehow managed to pick the lock on the door and they opened it up themselves. They knocked Lucidis to the ground and grabbed him by the feet. They began to drag him out the door and across the prairie. There wasn’t really anything Lucidis could do about it except scream and shout for Krystal’s help. I woke up before Krystal’s help could arrive. This dream was from the perspective of Lucidis. It was a continuation of Dream One from April 24, 2014. It was a medium length dream. So Krystal’s help never arrived. The Umbras had dragged Lucidis to Ceran City Hall. Some kind of council meeting was being held there and Lucidis was at the center of it. There must have been at least 50 Umbras there. It was kind of creepy. A rather old looking Umbra (yes, Umbras can look old) approached Lucidis. “State your full name,” he said. “Is that actually important?” Lucidis asked. “No, but say it anyways,” he said. “Lucidis Herbert NiteLite,” Lucidis said. Lucidis then became lucid upon saying this name for obvious reasons. A few of the Umbras in the room laughed in response. “That’s a funny name,” the old one said cracking a smile. “Now tell us, what do you know of someone named Steve ShadowRaut?” he said seriously. “I don’t know a ShadowRaut, but I know a Steve ShadowCross,” Lucidis said. “Interesting. Tell us about this ShadowCross then,” the old one said. By this point the Umbras had apparently captured Chris and Krystal. They carried them into the room and dropped them there on the floor. Lucidis waved to them and said, “Gather ‘round children! It’s story time!” Lucidis then proceeded to think about his many encounters with Steve. He told them about how Steve was a creature of pure chaos who would destroy everything in sight. Lucidis didn’t speak about that topic for too long though because he realized he was probably about to start a witch hunt for Steve. Lucidis then mentioned how Steve found love, became married, had a kid, and stopped making life miserable for everyone else. After Lucidis finished his story, the old man asked him where Steve lived. “Why?” Lucidis asked. “We are going to bring him to justice. He must be punished,” he said. “Then I can’t tell you. Steve is a good guy now and all that stuff he did years ago doesn’t matter anymore,” Lucidis said. “You won’t be leaving until we extract the information from you,” he said. “You know, if we don’t get back to Scillia soon, Claire is going to be angry. She’s scarier than Steve and she’s going to come looking for us,” Lucidis said. As if on cue, Claire kicked open the doors and walked in. She was visibly angry. She approached Chris, Krystal, and Lucidis while ignoring all of the Umbras in the room. “That was quick,” Lucidis said. “You should have just mentioned her like 5 minutes ago,” Chris said. Claire slapped Lucidis in the back of the head and shouted, “I told you guys to wait for me in the park and you’re screwing around with these things!” “They kidnapped me and they won’t let me leave!” Lucidis exclaimed. “How did you even get here?” Krystal asked Claire. “The queen gave me a void key. She requested the four of us to find and kill a Vexoreal Beast,” she said. After Claire explained this, Lucidis noticed the Umbras were nodding and making gestures to each other, though they were not speaking. It seemed that they were communicating privately through telekinesis. Once they came to a conclusion, the old Umbra spoke to Lucidis again. “The Vexoreal Beasts typically stay in the swamps, but one of them wandered into the mountains. It is too dangerous to pass through now. If you defeat this creature, we will allow you to leave,” he said. “Yeah, sure, no problem,” Lucidis said. “To be sure that you will not step away from our deal, I will be sending Andrea with you,” he said. A female Umbra then walked up to Lucidis and entered his body. It was a very weird feeling and it made Lucidis wake up. This dream was from the perspective of Lucidis. It was a continuation of Dream One from April 25, 2014. It was a medium length dream. Lucidis, Chris, Claire and Krystal were now within the Apex Mountains. Andrea was also there, inside of Lucidis’s head, talking to him. She was guiding them through the mountains to the area the beast should be. You’d expect the mountains to be all snowy and stuff, but it seems to work a bit differently in the astral plane. There were these tiny luminescent spheres falling from the sky, leaving wisps of blue light behind them. They were quite pretty. They felt comfortably warm to the touch. These spheres of light would fade away and dissipate once they came into contact with something. It wasn’t Andrea’s voice in my head that made him lucid, but this strange astral snow. The beast was preoccupied trying to fish in the pond. It managed to catch a fish and was about to eat it. When Lucidis saw this, Andrea shouted in his head, “No! Stop it!” In response, Lucidis ran forward towards the beast. It immediately dropped the fish and turned towards Lucidis. It stood back on its hind legs and swatted at Lucidis with a powerful force. Lucidis was knocked off the top of the mountain and fell down onto a lower ledge. “Look out!” Andrea shouted. Lucidis rolled onto his back and saw the beast run and jump off the cliff towards him. Lucidis quickly grew dragon scale armor on his forearm and defended against the incoming attack. As the creature was slashing and gnashing at Lucidis’s dragon arm, Krystal jumped off the cliff and onto the creature’s back. She wielded a crystal sword and attempted to stab the creature with it. The creature stepped backwards off of Lucidis and flung Krystal back into the side of the cliff. Lucidis took this opportunity to fully transform into a dragon. The beast charged at Lucidis and Lucidis charged at the beast headfirst. They bashed heads together and the bone armor around the beast’s head shattered. This dazed Lucidis, but the beast was still ready to make another attack. It lifted it’s arm to make another strike, but Claire used her whip to grip its arm from behind. As Claire held it there, Chris shot at the beast with his repeating crossbow. One of the bolts pierced its eye. This did not kill the creature, but it sent it into a rage. The beast somehow detached the external bones from its body and launched them outward at a high speed. One of the bones released it from Claire’s whip and hit Claire. Andrea shouted, “Dodge left!” and Lucidis moved to the left to dodge a bone. Once again, the creature came charging at Lucidis for another attack. “Dodge right!” Andrea said. Lucidis moved to the right and then gripped the beast by the hands/paws. Lucidis held it there while Krystal came up from behind and stabbed it in the back with the crystal sword. 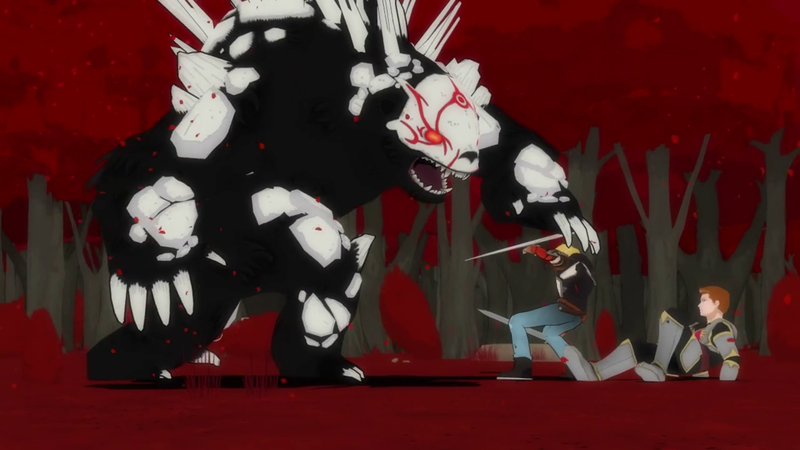 The beast’s essence was then channeled through the sword and into a small gem. Krystal sealed the beast’s essence inside this gem and it was captured. After making sure everyone was okay, Lucidis’s thoughts returned to the shrine that they had protected. “So what is that shrine place all about? It seemed important to you,” Lucidis said in his head to Andrea. “Oh, it’s a great story, but I’ll tell you another time,” she said. “Why not now?” Lucidis asked. “You are about to wake up,” she said. After she said that, the dream started to destabilize and get all blurry and stuff. “No, I’m not,” Lucidis said to her. “It’s happening right now,” she said. Despite his best efforts, Lucidis woke up anyways. This dream was from the perspective of Lucidis. Lucidis, Chris, and Krystal were walking down a street in Ceran City. Once again, Claire was away. She was having another meeting with the queen of Ariala. She had sent Chris off to get a map and Krystal and Lucidis went with him. They either somehow made it this far in their travels without the use of a map or they simply needed a more specialized map for whatever reason. That was Chris’s business to take care of. When Lucidis realized they were going to be looking at maps, he remembered that he had made it a task to find a map of Ethos. He did a reality check and became lucid. Knowing that he would soon see a map of Ethos made Lucidis excited. He ran forward ahead of Chris and Krystal to go find the map shop. He didn’t go very far before realizing he had no idea where it was. He ran back to Chris and Krystal and saw them walk into a building. Lucidis stopped in front of the building and read the sign above it that said, “Cari’s Ceran City Cartography Cartel”. Realizing that this place had maps, Lucidis ran inside and looked around. It was a small shop, but there was a wide assortment of maps on display. Some appeared to be for navigation while others were for artistic appeal. Chris was busy talking to some dude with an eye patch in the corner of the room while Krystal was browsing the atlases on a shelf. Lucidis walked up to a woman who was sitting behind a counter. He assumed this was Cari. “Hello. Do you need help with anything?” she asked. “Um, yeah, I just have three questions,” Lucidis said. “Go ahead then,” she said. “Cartel?” Lucidis asked. “Oh, don’t mind that. It’s just some silly word play,” she said. “Okay, what about the guy with the eyepatch?” he asked. “What about him?” she said, feeling kind of indignant. “Nothing. Was just curious about who he was,” he said defensively. “That’s my husband, Atlas. He lost his eye when he was attacked by a creature on one of his many expeditions. We think it makes him look like a pirate, so it’s part of the cartel joke,” she said. “If it’s a joke then why did you get mad at me when I brought it up? !” Lucidis exclaimed. “I wanted to play with you. Also, that counts as a question,” she said. “Fourth question then. Do you have a map of Ethos I can look at?” he asked. “Sure do,” she said. Lucidis showed the map to Krystal. “Look at all the places we could explore!” he said. “As far as we know, Rhenora is the only one that exists,” she said. “Nah, I’m pretty sure these places are there,” he said. “No one has ever journeyed to these other lands. This map is built upon ancient myths and legends,” she said. “I’m pretty sure every legend we have encountered so far has turned out to be true,” Lucidis said. “Well you can go see for yourself someday,” she said. Lucidis returned to looking has his map again. He stared at it and analyzed it once again. He then forced himself to wake up so that it would remain in his immediate memory. I was riding in the back of the ambulance with a patient lying in the stretcher. The patient appeared to be boy about 12 years old. The patient looked like he was in good enough health and was sleeping soundly. I started looking through the patient's paperwork to learn about his past medical history and current diagnosis. While skimming through I noticed something mentioning multiple respiratory arrests. I looked back at the patient to double check his breathing and realized that he was not breathing at all. I relayed this information to my partner and he said he would try to get us to the nearest hospital as quick as possible. He turned on the lights and sirens and increased speed. I pulled a bag valve mask out of a cabinet, connected it to oxygen, and began ventilating the child. My partner's driving soon became erratic. He was constantly weaving between vehicles and either slamming on the brakes or slamming on the gas. I quickly started to lose my balance and began stumbling across the ambulance and falling over. I pulled myself back up off the floor and tried to get back to my seat to resume ventilating. As I started ventilating again, I heard the ambulance horn blare and felt the ambulance immediately take a very hard turn. I heard the tires of the ambulance screech loudly as I was forcefully held to the wall by g-forces. I realized that the ambulance had started to spin out of control and tried to reach out for something to hold on to. Suddenly I then heard the very loud booming sound of the ambulance crashing into something. The crash sent my body flying towards another wall head first. I woke up as I impacted the wall. This dream started with Lucidis, Chris, and Claire entering the city they spotted in the previous dream. The city was built on a large oasis with the desert river running through the middle of the city. The city appeared to be mostly medieval in nature. The buildings in the city were made with a silvery-blue metal. It looked beautiful and it seemed magical. Within the city walls, it also felt much cooler than out in the desert. Having just come out of the desert, they decided to take the day to relax and enjoy themselves. Chris and Claire decided to head to the tavern and rest there. Lucidis however wanted to explore the city. He was more interested in interacting with the people and learning about the city. By this point Lucidis had completely forgotten about the heart stone. Lucidis wandered the city for a while and talked with a lot of people, but I won't go into too much detail. He learned that the city was built upon a mine that is abundant with a rare mineral known as mithril. Many buildings in the city were created with mithril, which was what gave them the silvery-blue look. I'm not 100% sure, but I think Lucidis also learned that the name of the city was Arinok, or something like that. Lucidis also heard some stories about people disappearing in the mines and about mithril mysteriously disappearing. There was actually more to it than that, but I can't remember the details. Lucidis interpreted this as a quest and decided he would investigate it the next day. The sun was beginning to set, so Lucidis went back to the tavern where the group would likely be staying for a few days. There were quite a few people there drinking and having a good time. They were likely there for some sort of fighting tournament that was to take place that night. Lucidis managed to find Claire relaxing at a table drinking what I'm assuming was wine. Surprisingly, Lola was there as well and talking to Claire. Lucidis ordered a glass of orange juice and sat down next to them. Lucidis asked Lola what she was doing in Arinok. She told him that she and Rick were investigating some of the strange things that have been happening in the city. They were related to the stories that Lucidis heard earlier. It was then decided that both groups would try to complete this quest the next day. Chris soon came back to the table and he looked pretty drunk. He said something about signing Lucidis and Claire up for the fighting tournament. Chris said he wanted to win the prize, but he was too drunk to participate. I can't remember what the prize was though. Dream time skipped a bit and a large boxing ring was now present on the far end of the tavern. By this point the semi-final round was being finished by Lucidis. The final round between Lucidis and Claire was about to start. Lucidis was excited for this because it would be his first time fighting Claire with her stasis armor. I'm having trouble recalling the fight, so I guess I'll just skip that. I do remember that the dream ended in the middle of the fighting.